Microtips™ are designed for precision applications needing pinpoint accuracy. The tapered porous polyvinylidene fluoride tip is effective as a stylus or pick for areas with tight tolerances. The tip is attached to the handle without the use of potentially contaminating adhesives or glues. 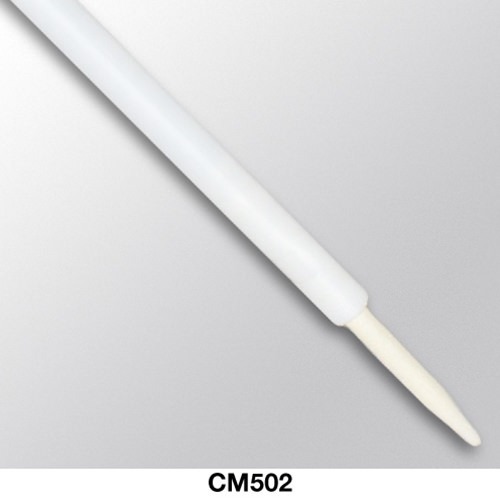 These swabs are ideal for adhesive and lubricant application. (1.93 mm x 15.7 mm) Polypropylene 0.13" x 0.13"